Society members are counting down the days until they are back in Grand Cayman from 1 – 8 June 2013, and enjoying the usual tomfoolery that Total Submersion offers. With some very special guests lined up, Total Submersion will be one unforgettable week. Here’s your chance to dive with some special guests from Divers Alert Network (DAN) and Sport Diver magaine. Plus, get tips from them that you can only get at Total Sub. Dan Orr is President of Divers Alert Network (DAN). He came to Divers Alert Network in 1991 as Director of Training, responsible for developing and implementing DAN training programs including the internationally successful DAN Oxygen First Aid Course. Prior to coming to DAN, he was the Associate Diving Officer at Florida State University and, before that, he was Director of Diver Training Programs at Wright State University in Dayton, Ohio, USA. Orr will be diving with each Total Sub team throughout the week. It’s a great chance to pick his brain about dive safety. Betty Orr is Vice President and Director of Insurance for DAN Services. She came to Divers Alert Network in 1991 as a customer services representative in the Membership Department and transferred into the Insurance Department in 1999. Prior to coming to DAN, she worked with the Florida Department of Regulation as an agent and Sinclair Community College in Dayton, Ohio, USA as an Associate Professor of Biology. Make sure to check out her seminar and get advice on your next big adventure. Orr will be on the boats throughout the week, taking photos, swapping stories and sharing tips on traveling. Plus, both Dan and Betty Orr will be conducting a few workshops throughout the week. David Espinosa is the Editor-in-Chief of Sport Diver, the official publication of the PADI Diving Society. He has enjoyed 24 years (and counting!) 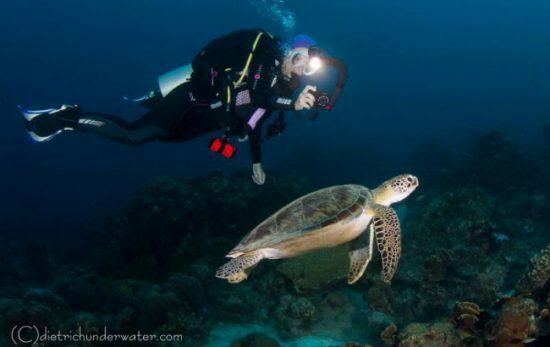 in the dive industry, and has worked as everything from Cruise Director of an Indonesian live-aboard to editor of Scuba Diving, Asian Diver, and Scuba Diver AustralAsia magazines. Espinosa has authored a guidebook to diving Southeast Asia and has published hundreds of articles on everything from destinations to equipment to profiles of the world’s top dive celebrities and underwater photographers. Espinosa will also be diving with each Total Sub team throughout the week. It’s a great opportunity to ask him all those things you wanted to know – how do you pick images and stories for a magazine? How do you get published? How can you tell a story with images? And more! A native of Southern California, USA, Wray developed an appreciation for the ocean at a young age. She honed her passion for photography with a Bachelor of Fine Arts from Cal Poly San Luis Obispo in San Luis Obispo, California, USA, then began her photography career on dry land in Los Angeles. 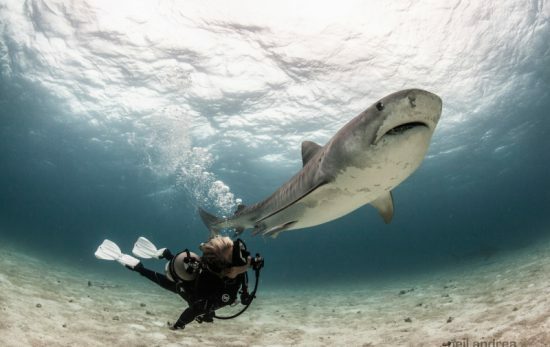 But, it wasn’t until a fortuitous trip to Grand Cayman that she discovered the joy and challenge of creating images underwater. Wray has won acclaim in Cayman’s International Underwater Film Festival photography competition, taking Best in Show and Best Wide Angle. 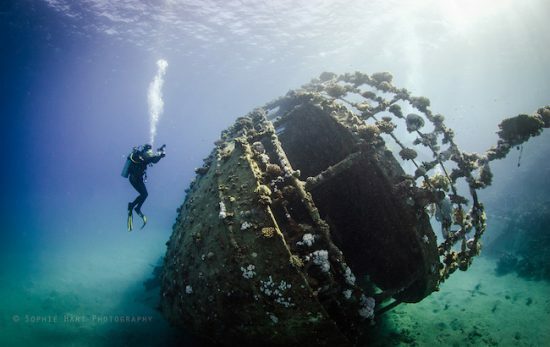 She has spent the last six years shooting both topside and underwater in the Cayman Islands and recently documented the sinking of the ex-USS Kittiwake for the Cayman Islands Department of Tourism. Needless to say, she’s very familiar with the Cayman Islands and capturing its beauty. Join Wray for her “Getting To Know Your Subject” seminar at Total Sub and learn how to make the most of photographing Grand Cayman’s diverse marine life. Wray will be rotating on the boats throughout the week to take your photos both above and below the water, as well as providing tips for underwater photographers and aspiring underwater models. So what are you waiting for? Here’s your chance to meet and dive with these special guests. For more information and to reserve your spot, contact PADI Travel Network at 800 729 7234 (US and Canada) or +1 949 858 7234 ext. 2555. Remember, book your spot with PADI Travel Network to receive your five percent PADI Member discount! *Price based on double occupancy. Contact PADI Travel Network for price and packages available. Price does not include airline fees and taxes. Additional Marine Park fee may apply. Dive/trip to the ex-USS Kittiwake, subject to availability.